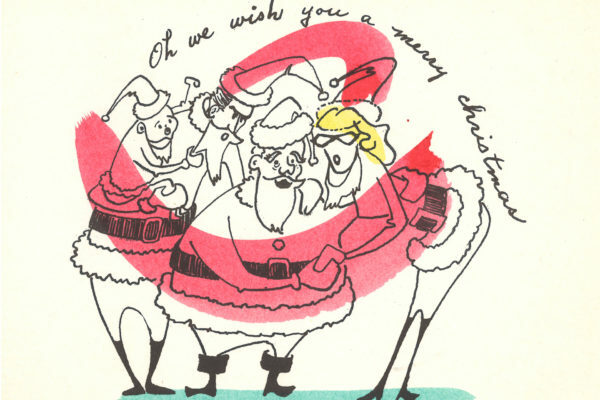 Presenting our annual exhibition Vintage Christmas Cards by Northwest Artists! From November 15 – January 6, we are presenting Christmas Cards shared between the artists of the Northwest and their family friends. For most of the 20th century, many regional artists created original works of art to send to their fellow artists, friends, and families to celebrate the Holiday Season. The cards were created using relief printmaking such as woodcut and linoleum blocks as well as watercolor, oil, collage and other materials.